Solar Calculator Notes and Instructions and Disclaimer. First, the notes: We hope this solar calculator will make sizing your panels and batteries a little less painful. Keep in mind that this is only a calculator, and it will directly reflect whatever you, the user, inputs into the fields. If your base calculations are off by even a little bit, the results reflected can be skewed by quite a bit, so view this as a guide, not an absolute. This calculator is for educational purposes only. Lusosol.com is in no way responsible for the results of your calculations, and if you purchase a system based on the results of the Solar Calculator, Lusosol.com will not and cannot be held responsible for returns or exchanges for improperly sized systems. Normal guarantees and exchange rules will apply to all solar panel purchases. So, you’ve got an electrical appliance to run, but no place to plug it in. When you need to run a regular household electrical type device in an area where no regular grid power is available, this calculator will help you figure out what size batteries and inverter you need! Welcome to our DC/AC conversion tool (with inverter). 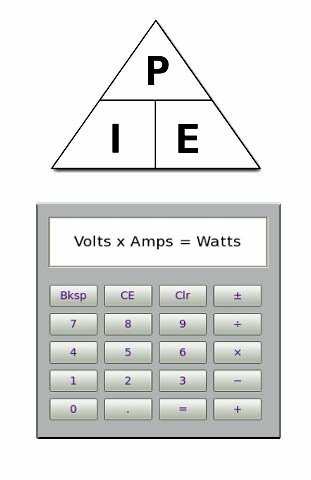 This calculator is designed to assist you with power usage amounts, when converting from one power form to another using a DC to AC inverter. Just enter power numbers in the fields below, and we will do the calculations for you, including typical inefficiencies and all that other techie type stuff you may not care to calculate. If you are not sure of your numbers, have a look at the walkthrough illustrations below when entering numbers. 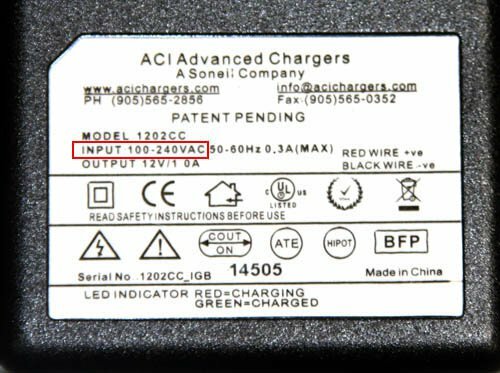 Example AC Voltage - Many applications will have a range of Input AC voltage. In the US, it can be anywhere from 100-125 VAC. In Europe, it's usually 200-240. For this example, we'll use the US standard of 120 Volts AC. Example AC Amperage - Input Amperage is how much current the application draws from the AC power. This number is usually rated in Amps. If the current is rated in milliamps (mAh) you can convert it to Amps by diving the number by 1000. For instance, our example application draws 300 milliamps, which is the same as 0.3 Amps. Example Wattage - Wattage is the total amount of power the application uses. It's calculated by multiplying voltage by amperage. Therefore the 120 VAC x 0.3 Amps equals 36 Watts. Example DC Voltage - Output Voltage is rating of your battery system, usually a single 12 volt battery. 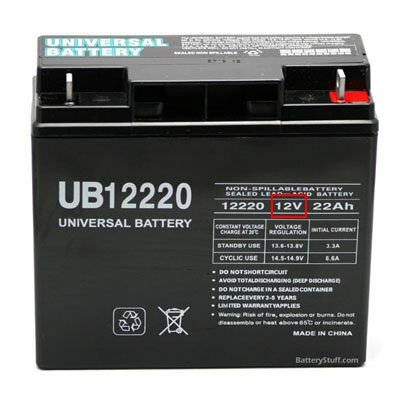 We use 12.5 volts for 12 volt battery systems. Example DC Amperage - Now we know that our application uses 36 watts of total power. If you take this power from a 12.5 VDC source, then the total amperage required increases to 3.31 Amps, or 3,310 milliamps. Since batteries have a limited capacity, or amp hours, it's important to size a battery large enough to handle the amperage demand for your application.